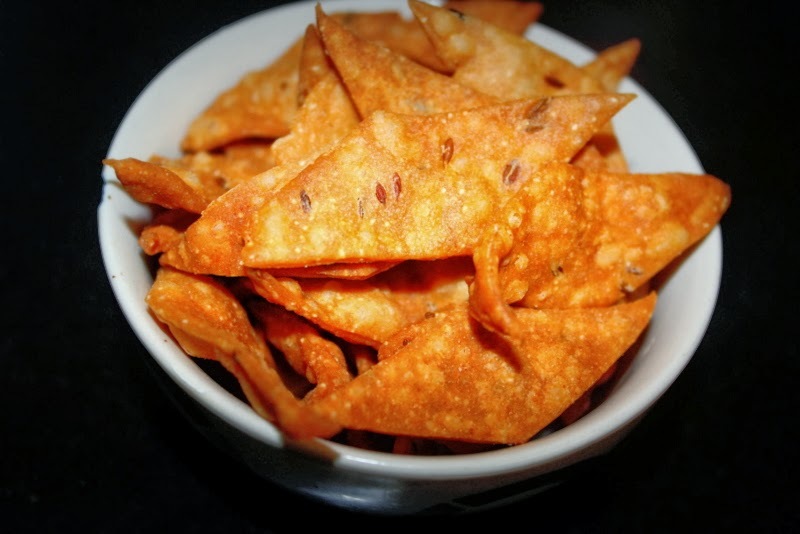 Namak Paare is a savoury snack. This is my moms recipe, I remember we used to trouble her to make this all the time as they are a lovely accompaniment to tea/coffee. 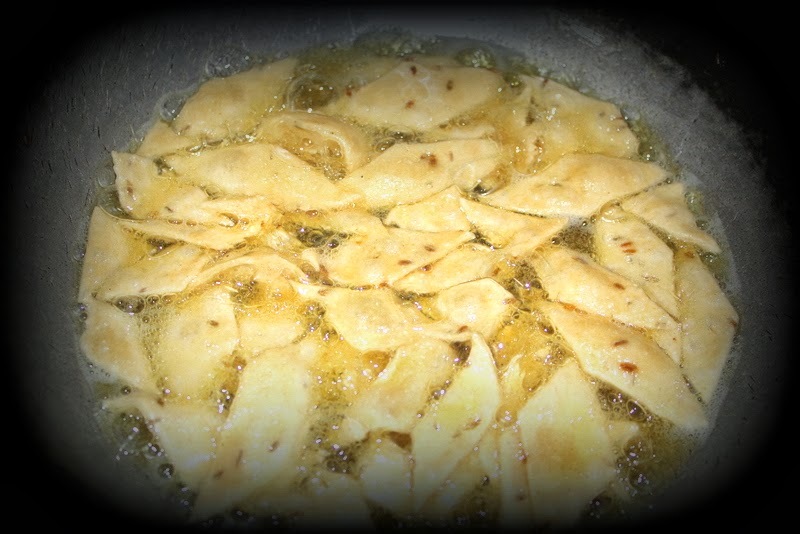 In these days when everything is readily available, we always end up buying some namkeens from malls, but home made namkeens have that unique flavour and food cooked at home with love tastes anyday better than the ready made quick bites. 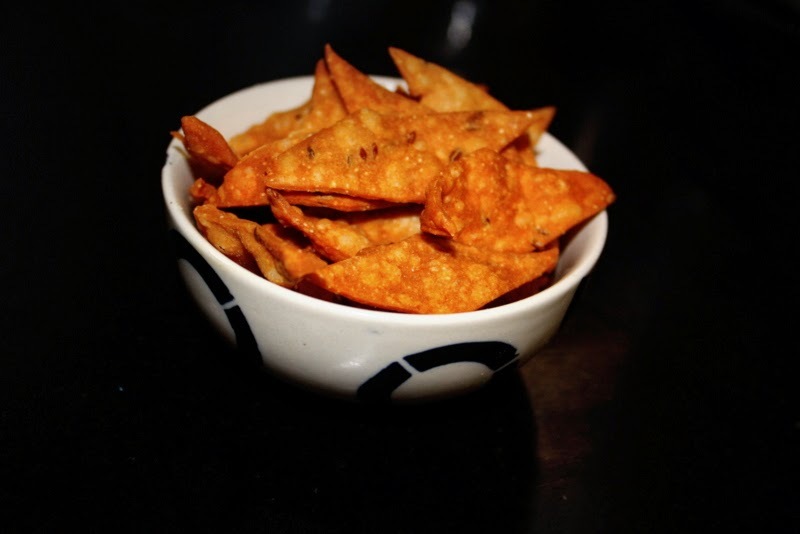 Also when we have guests at home, instead of serving them same boring biscuits and tea, make these and believe me guests will be extremely happy with namak paare- quick, easy, tasty salty crackers. 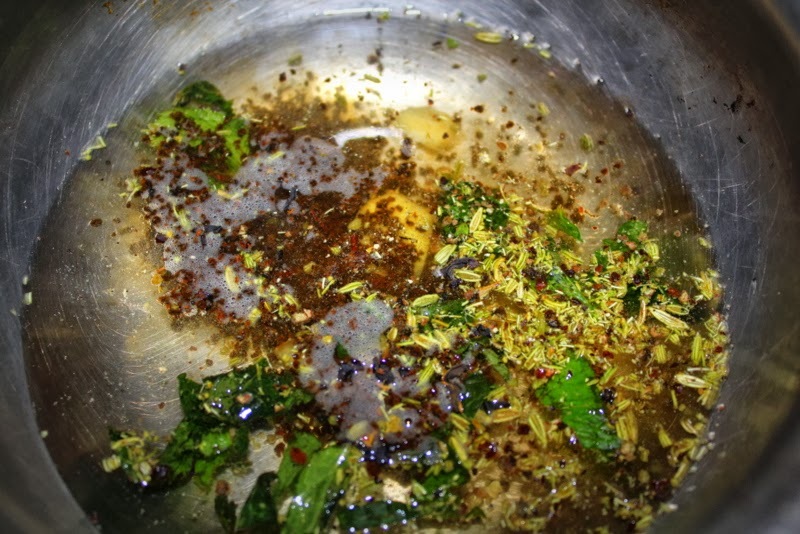 In a bowl add all the flours together, roasted cumin and carrom seeds, ghee, chaat masala and salt. 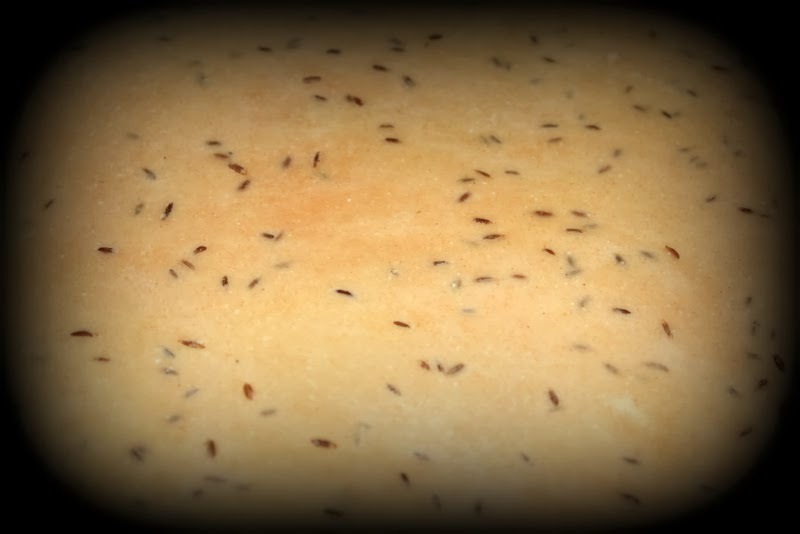 Mix well with warm water and kneed it like a roti dough, not too soft not too hard. Cover it with a wet cloth and let it rest for 30 minutes. 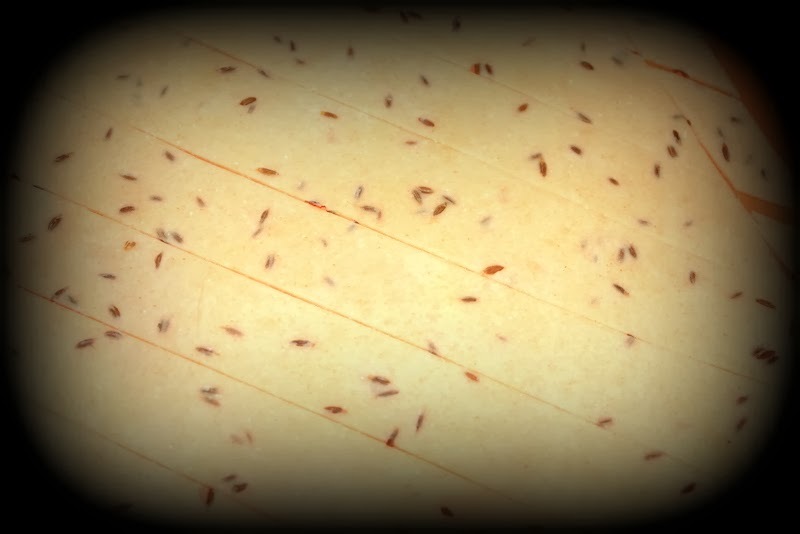 Now deep fry them in batches into light brown colour. Remember to always fry them on medium flame as they can get brown quickly but may not cook properly. Store in an air tight container and enjoy them with some hot tea or coffee. Shakkar Paare are also made in similar style. 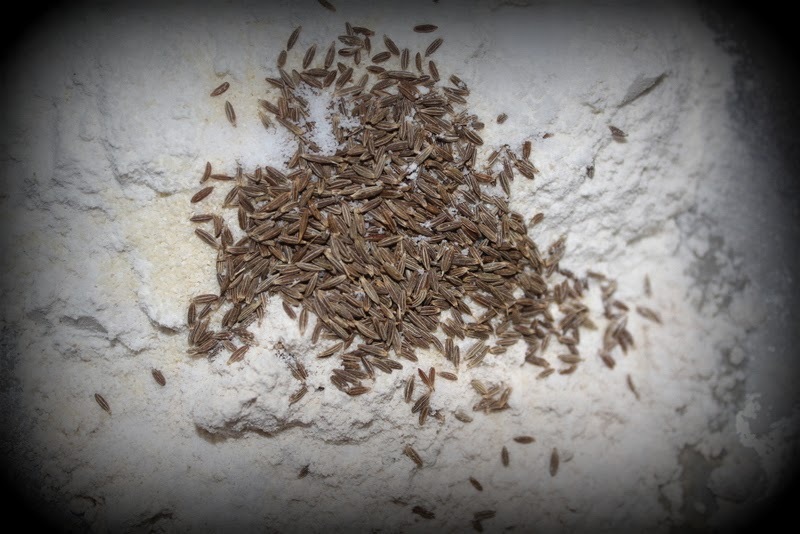 Do not add cumins,carrom seeds, salt in the dough. After deep frying them, drop them in sugar syrup, soak them for a minute.Put them on a plate and leave to rest for some time and then enjoy the crunchy shakkar paare!! Everyone who has sweet tooth like me looovveee halwas and kheers!! Being a hyderabadi I have heavy influence of muslim culture and food. Their food is so rich in taste and full of flavours especially deserets. At all my friends weddings I would finish my dinner quickly to gorge on the deserts. Most famous deserts in a muslim weddings and household are double ka meetha, kaddu ka kheer and the all time favourite Qubani ka meetha. So last month at work, my colleague Ramiza got this delicious kheer and I totally loved it. She then told me this is a famous desert in bangalore muslim weddings and is a very easy to make, So I tried this recipe and it turned out very well and was instant hit at home! 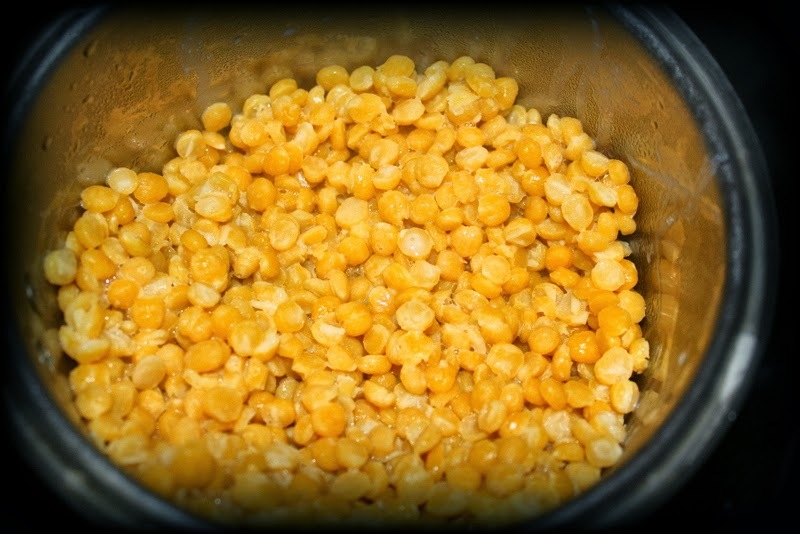 Wash and soak Chana dal for few hours. Cover and pressure cook soaked dal on medium heat and allow it to whistle 2 times. 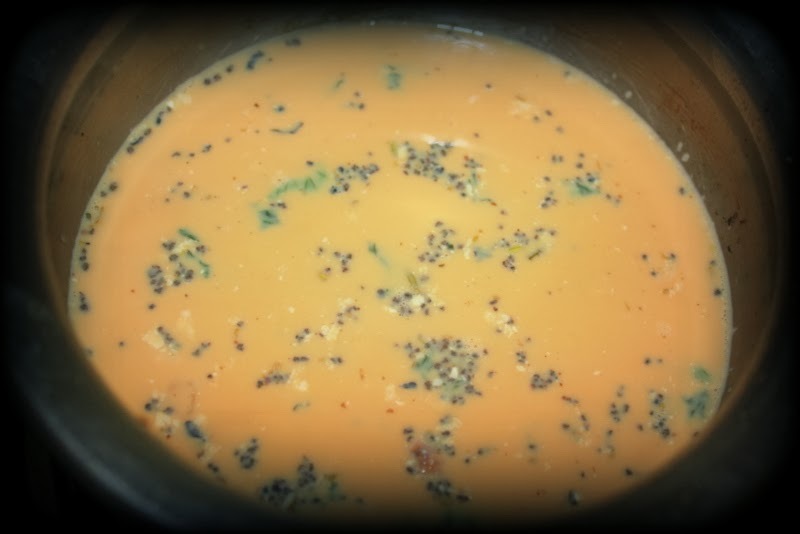 In a mixer jar, add cooked chanal dal with some milk and make a smooth paste, add more milk if the consistency is too thick. In a non stick pan/thick bottomed vessel add ghee and cook dal for few minutes untill the raw smell leaves. 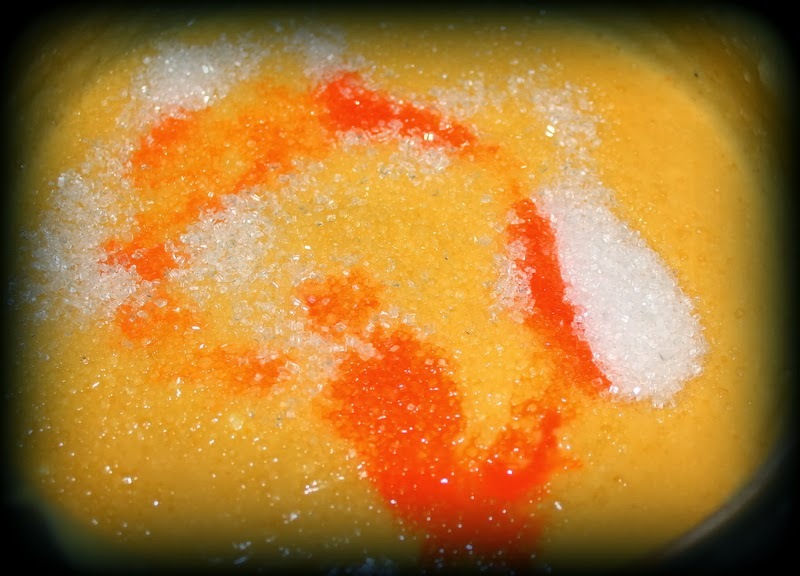 Add the remaining milk and continue stirring the dal for few more minutes. Now add khova and mix it thoroughly with the dal. Cover and let it cook for another few minutes. 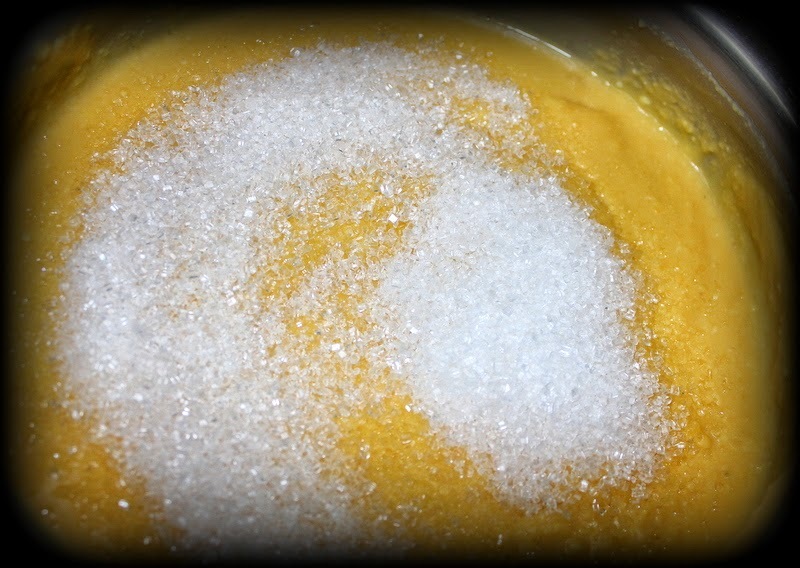 While stirring continuouslycontinuoulsy add sugar, cardamon powder and food colour and cook on low flame for few more minutes. 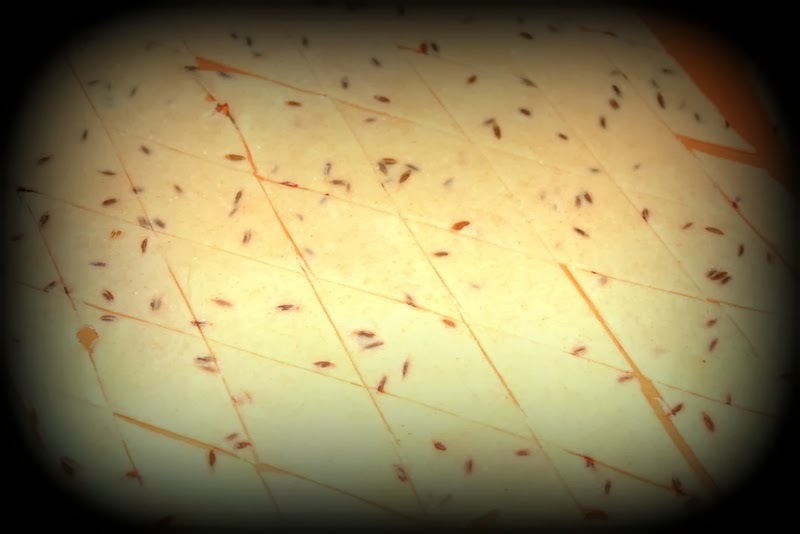 You can make a barfi of this kheer too. 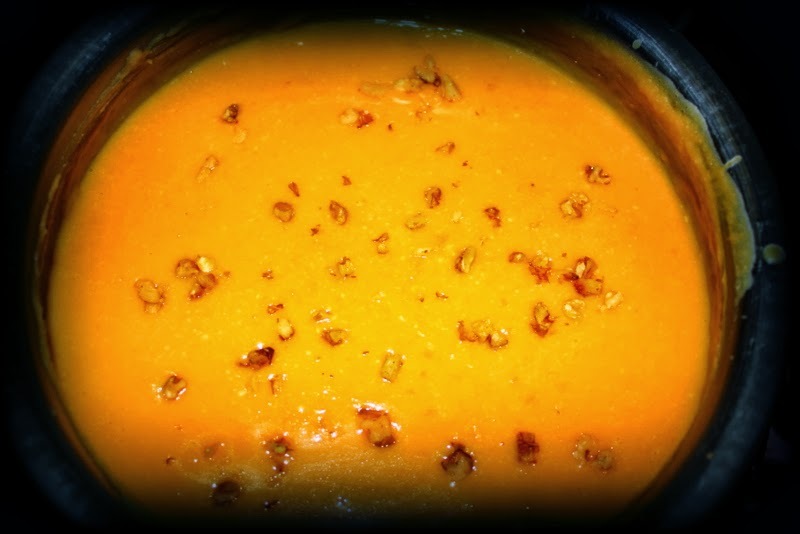 On a greased plate or a baking tray spread thick layer of kheer and let it sit in refrigerator for an hour or so, cut in desired shapes and garnish with some nuts and serve. I am actually a coffee person more than tea, but at home we always have morning tea together and talk about our plans for the day, when I was getting married the first thing that made me miss my family the most was making tea for everyone at home and spending that few minutes of family time from our busy schedules as all of us were working and that’s the only time of the day we usually sit together. So today I made the regular chai with a twist, this is a simple recipe to make a masala chai. Not very fussy to make and all the ingredients are usually handy at home. And you can play around with the flavors, you can add some cardamon, cinnamon if you wish, I personally love the ginger flavor so I always use lots of ginger. The aroma that fills in the kitchen will instantly make you feel fresh and active. 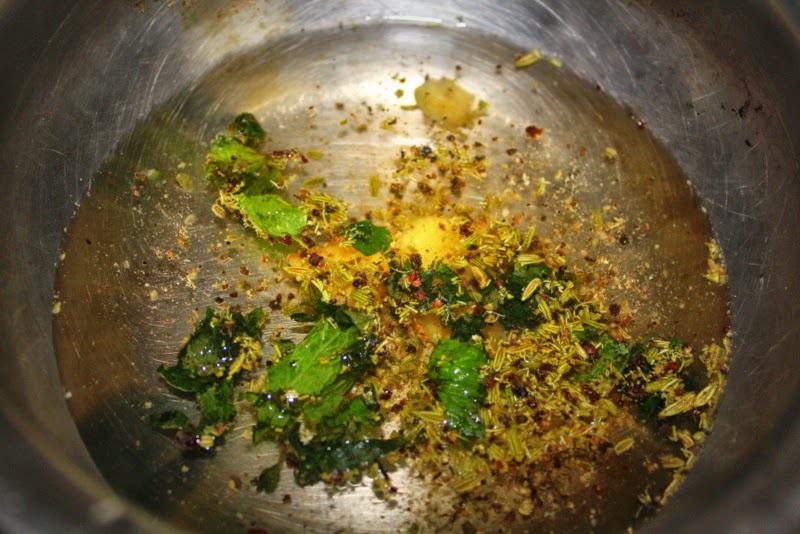 Coarsely grind pepper and fennel seeds and keep the powder aside. 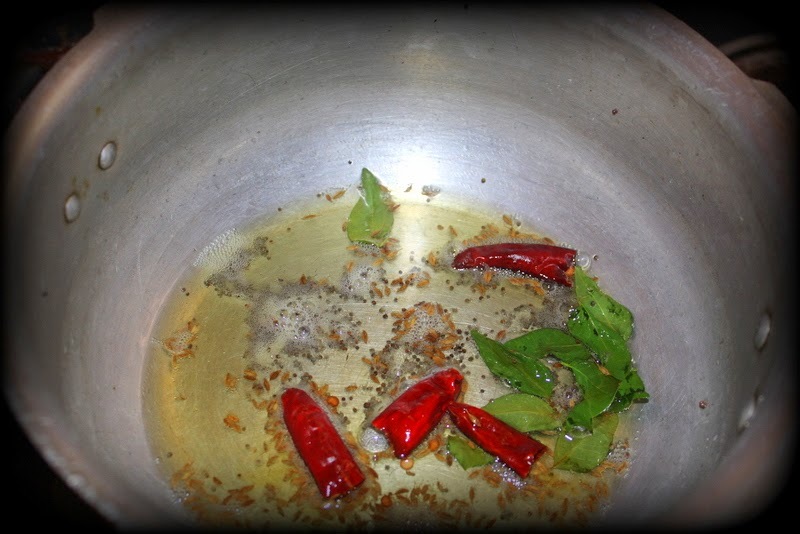 In a small saucepan boil 1 cup of water and add the pepper and fennel powder, mint leaves, tea powder, sugar and ginger. I prefer using Red Labels Natural care, it has a mix of 5 Ayurvedic ingredients like Tulsi, Ashwagandha, Mulethi, Ginger and Cardamom that are proven to improve immunity. You can add any tea powder you have at home also. 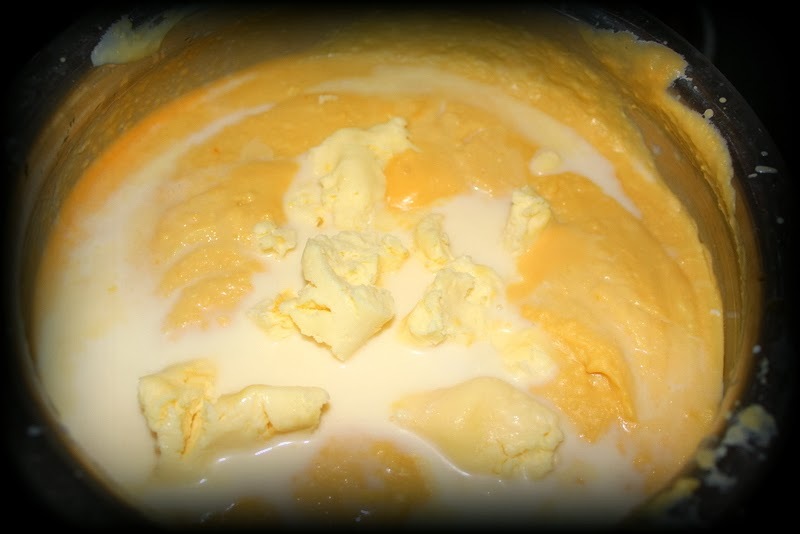 Boil this mixture on low flame for few minutes, now add milk accordingly and leave it to simmer for few more minutes. Once you see desired colour, turn off and pour into a cup through a fine mesh sieve. 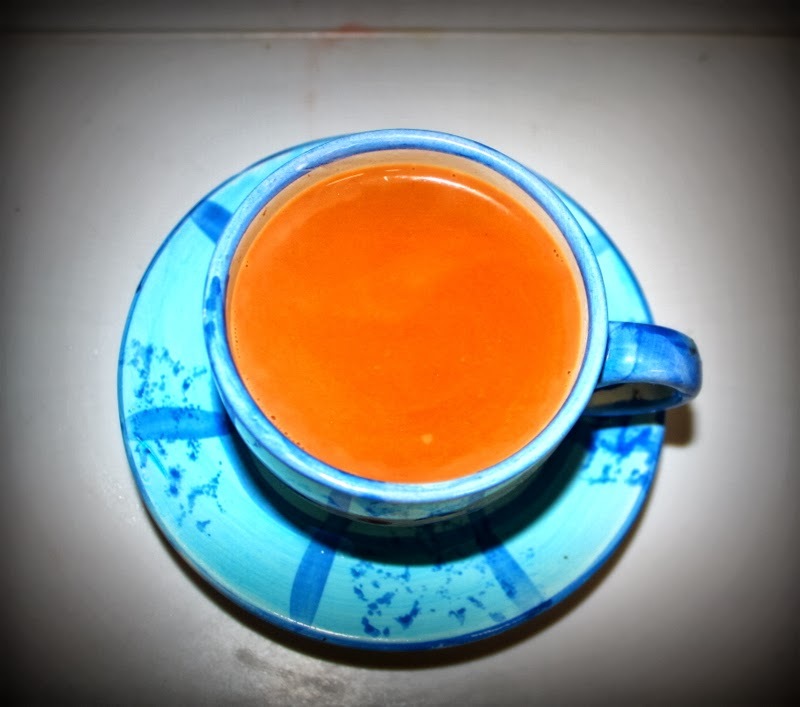 Enjoy this masala chai with some onion pakodas or any tea cake or biscuits. 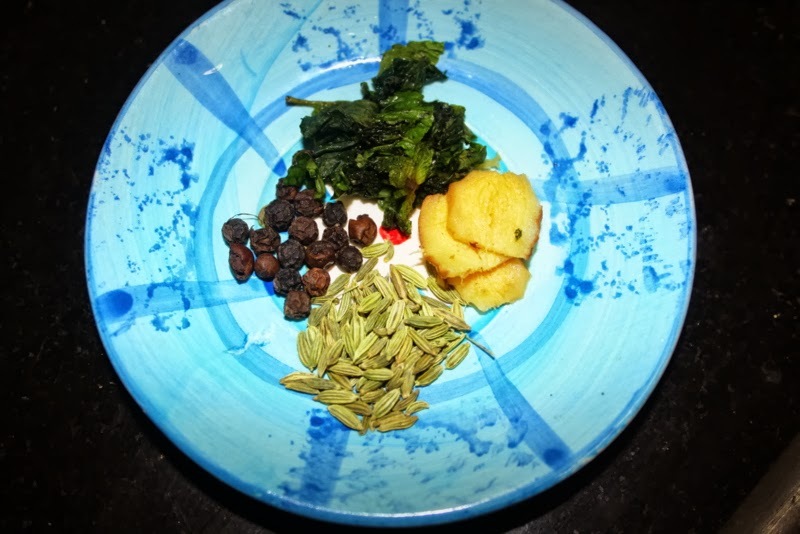 This is yet another authentic dish of South India and is quite nutritious and easy to make. 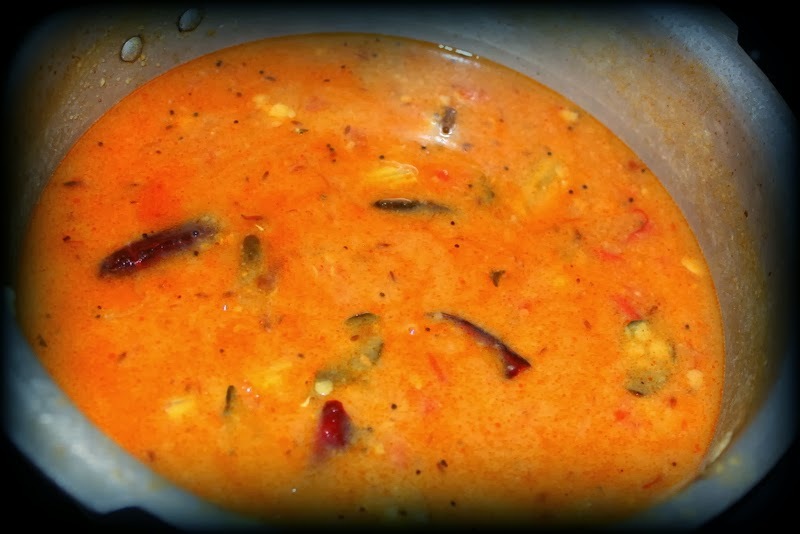 Sambar with rice is one of the main courses of our house and we looovvveee it….as its comforting and delicious!! Its so versatile that it can be taken with rice, idli, dosa, vada, upma, pongal and just about any south indian snack. 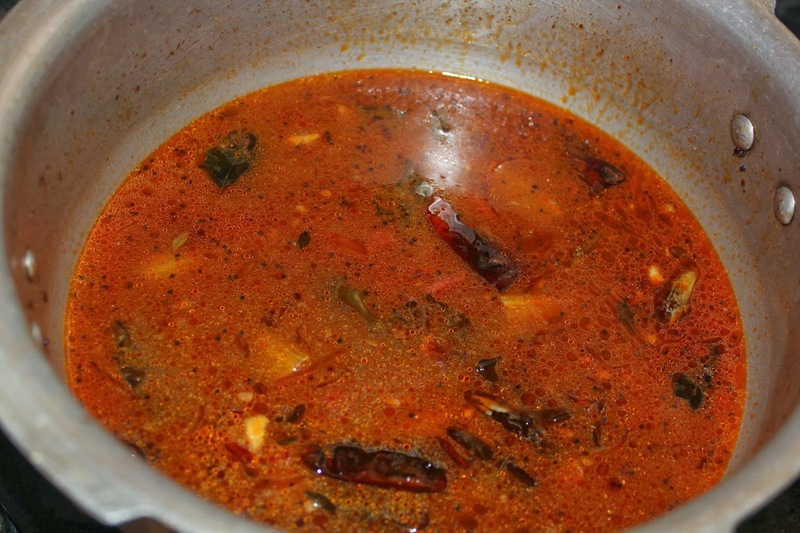 Secret for perfect sambar is the tamarind extract we use, the tangy taste of the tamarind will effect the sambar a lot so be generous in using tamarind and avoid using the ready made tamarind paste. 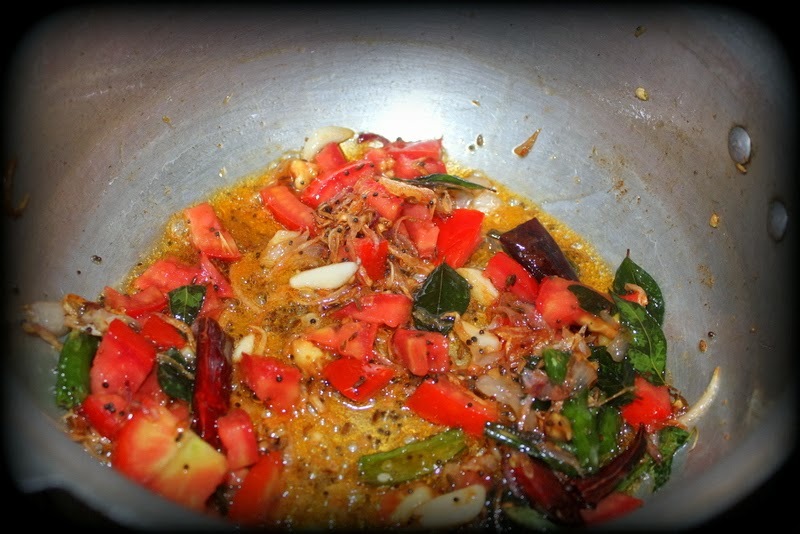 In a kadai add oil, cumin & mustard seeds and once they start to splutter add curry leaves, red chillies. 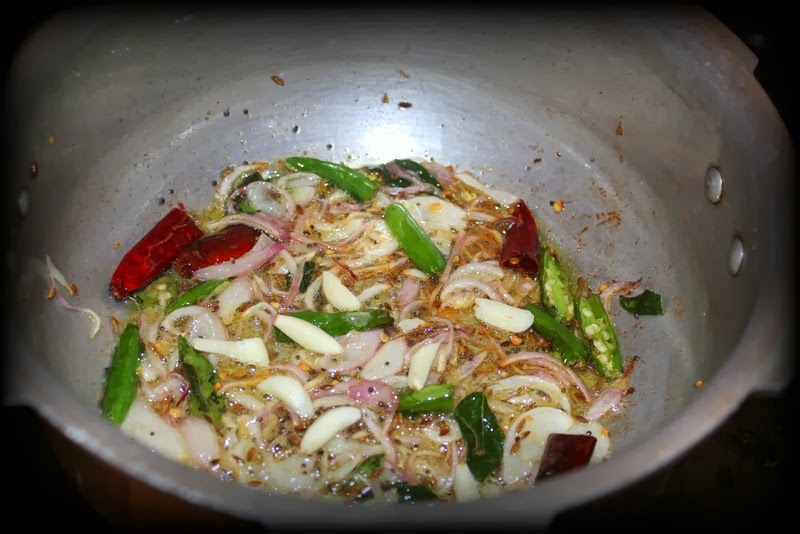 Let them fry for a minute, now add onions, green chillies, garlic pods crushed and gg paste. 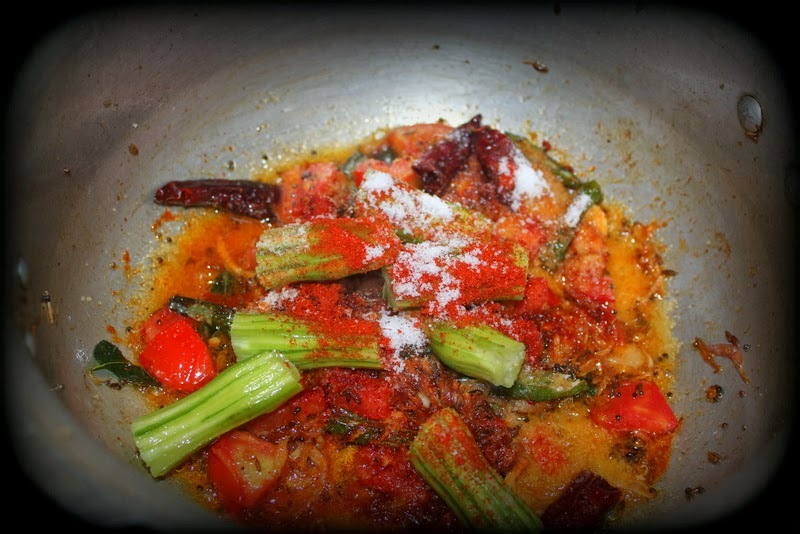 Once the onions change colour add tomatoes, drumsticks, chilli powder, sambar powder and salt. Cover with lid and let it cook for few minutes. 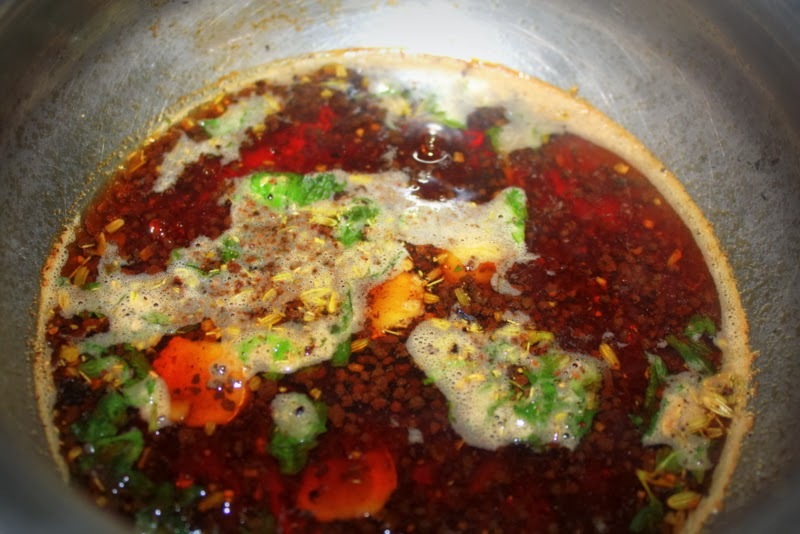 When you see oil floating on top add tamarind juice, water and cook for another 5 minutes. 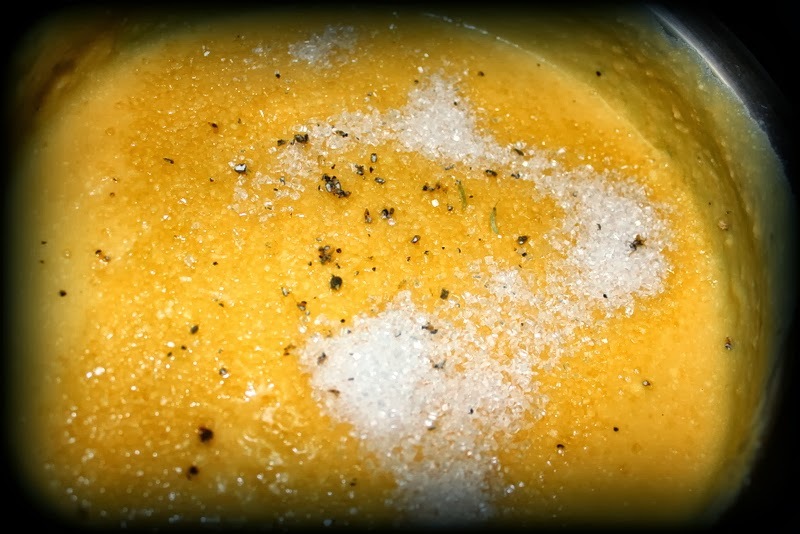 Add cooked dal and cook on low flame for 10 minutes. Add more water as per your consistency. 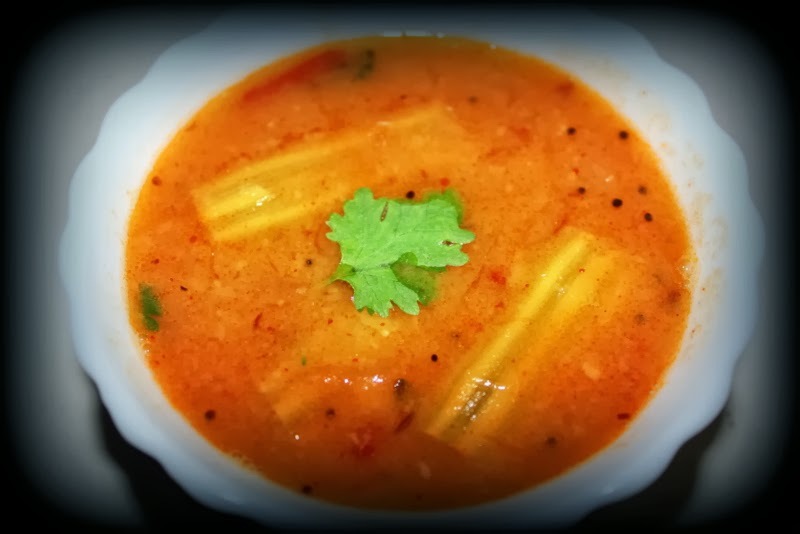 Garnish with coriander and serve hot with steamed rice and some papad!! 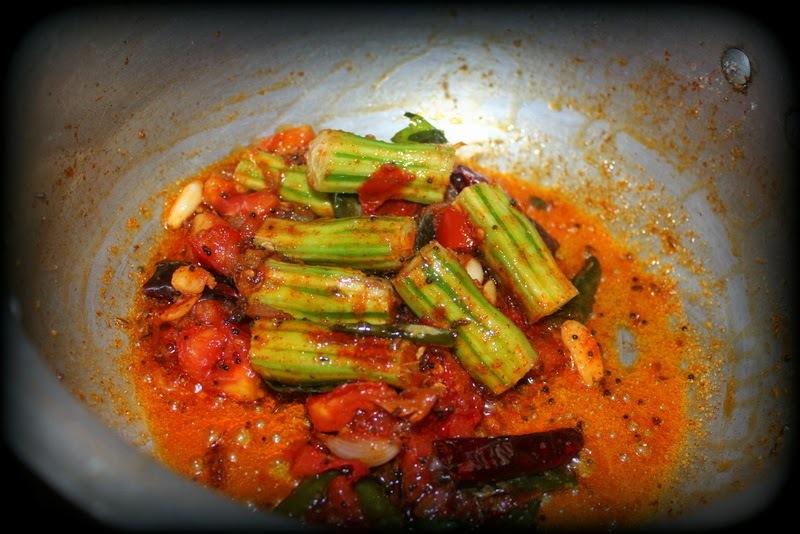 You can add veggies of your choice also just like drumsticks to make mixed veg sambaar.